And so today I take you back in time to 1835. Imagine if you would, at this very spot, Captain George Hempleman to be the first European to establish a whaling station in this area. 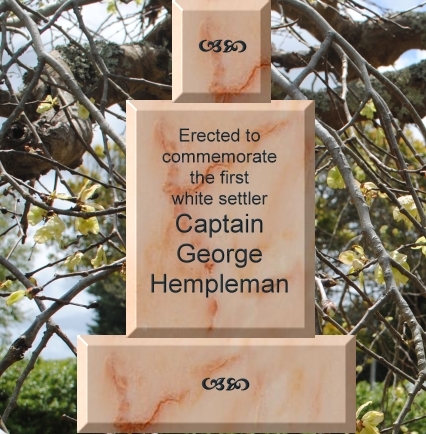 Today in 1895, in the presence of so many descendants of the early settlers, we make a substantial, if not in fact rather belated, recognition of the great pioneer work carried out by Captain Hempleman. Note how Captain Hempleman would lock the Natives inside whale blubber casks, and feed them through the bung holes. He did this to teach them a good lesson. They stayed locked in there until they learned to act in a civilized European manner. It is my privilege to unveil this monument.